With 40 million Americans currently dealing with food insecurity and 30-40% of the food supply going to waste each year, the Biblical tradition of gleaning, or collecting leftover crop after a farmer has completed his or her commercial harvest, still exists as a means to supplement the emergency food system with fresh fruits and veggies. This practice also significantly reduces the amount of edible food waste on farms while strengthening the link between food growers and eaters in the same region. My CEP coursework unexpectedly ignited my curiosity about the interactions between food systems and unequal distribution of resources; with such an ample food supply, it seems almost ridiculous that so many people go hungry. 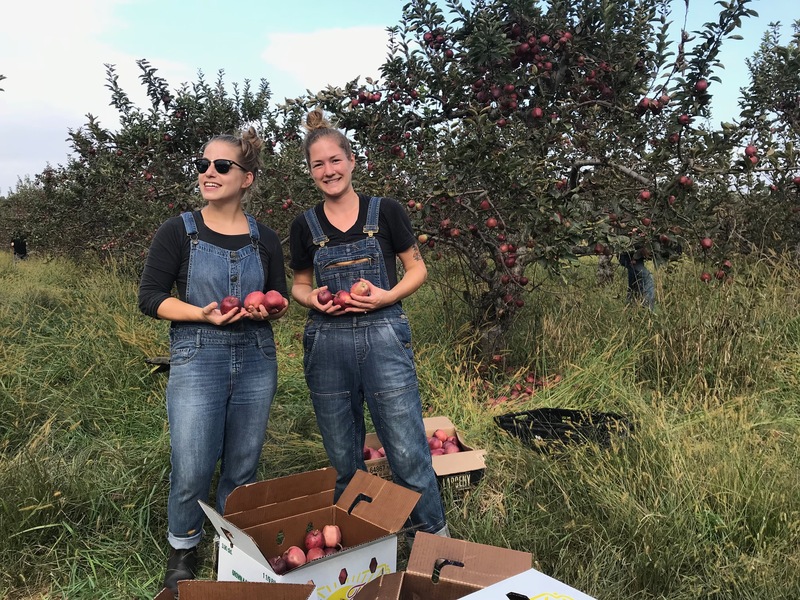 To explore this relationship at the ground level, and to fulfill my Bard CEP internship requirement, I took a seasonal position on the Cornell Cooperative Extension (CCE) Orange County’s Gleaning/Food Access team to better understand the Hudson Valley’s emergency food system. CCE Orange County utilizes educational programs to positively affect agriculture, local families, youth, environment, and economic development to improve communities. My first day of work with the Gleaning/Food Access team started with a blueberry glean early on a warm summer morning at the Hudson Valley Farm Hub in Hurley, NY. I worked with a group of 15 UlsterCorps volunteers to glean about 50 lbs of perfectly ripe blueberries to donate across Orange and Ulster Counties. After meeting my supervisor and coworker at another area farm to pick up more produce, we trekked to Poughkeepsie for a meeting with my supervisor’s associate, a team-member of Dutchess Outreach, regarding a grant-funded project they are working on to research food insecurity at the regional scale. 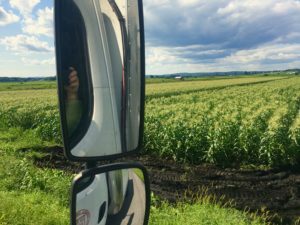 By the end of my first day, it was clear that alleviating regional hunger is a monolith of a job, and it takes a vast network of nonprofits, volunteers, financial donors, and farmers to even begin to make a dent. 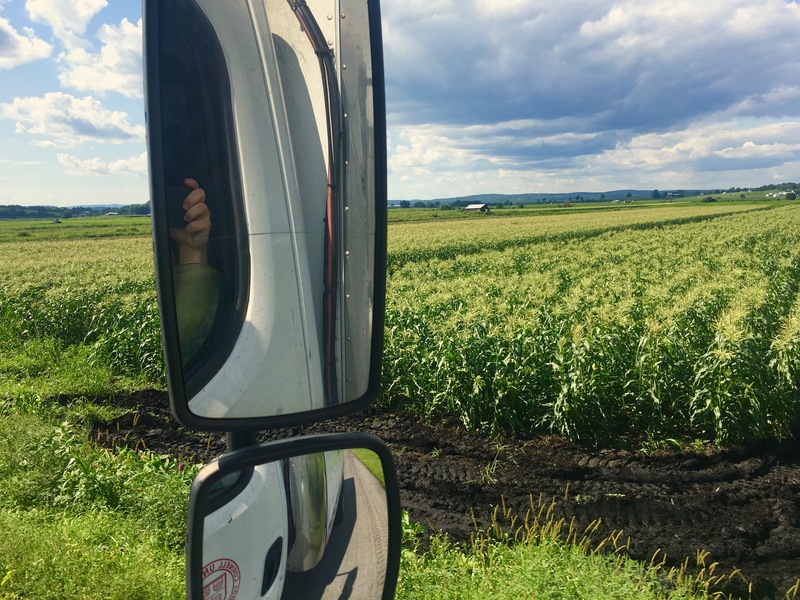 Since then, every day looks a little different, but in short, we partner with farms to pick up excess or unmarketable produce and take it in our refrigerated truck to Emergency Food Resource Providers like food pantries, soup kitchens, and community centers spread through the Hudson Valley. Cruising through the Black Dirt region of Orange County in the Gleanmobile, our refrigerated box truck. Donor farms vary in all aspects; mid to large-sized family farms in the mucky black dirt region of Orange County provide hefty onion donations, while educational and research farm centers may grow and donate organic or other certified produce. Small community gardens also provide tasty heirloom variety vegetable donations. We coordinate regularly with all farms and all Emergency Food Resource Providers individually to fit their particular schedules. To ensure this program meets the needs of everyone involved, we need to be extremely flexible so that the local emergency food system is getting the freshest available produce. Ugly Food Needs Love, Too! Why do farmers have produce to donate at all? “The market”–if produce is too small or oddly-shaped, donor farms will donate it or invite us to bring volunteers to glean the crop directly from the field. Additionally, a tough weekend at the farmers’ market may mean farmers have produce for donation. Bad weather can ruin one crop while nourishing another. 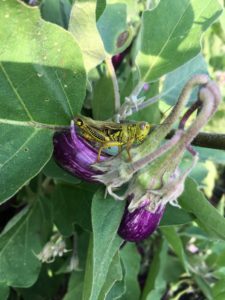 For example, extreme heat and lots of rain in the Hudson Valley this summer has been detrimental to crops everywhere-except eggplant. An excess of eggplant in the fields means lots of eggplant for donation! Battles over immigration policy at the national level have caused labor shortages on farms locally, leaving whole fields unharvested. Rather than let the crop go waste, farmers will allow gleaners to harvest. 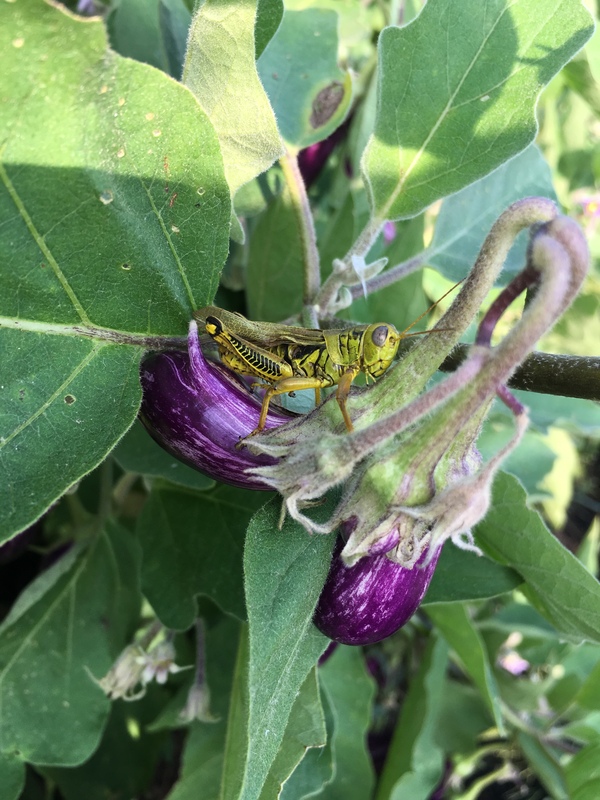 A grasshopper joins an eggplant gleaning at Dig Inn Farm in Chester, NY. Do you spend time in the Hudson Valley and want to volunteer for area gleanings/food delivery to emergency food providers? Check out this list of gleaning and organizations! CCE Orange County Gleaning Program – Volunteer for regular gleaning events at various farms throughout the growing season. UlsterCorps Glean Team – Opportunities include regular gleaning, pick-up and delivery, and processing donated food so it can be donated through the winter. FeedHV – Uses a handy app called ChowMatch to update volunteers on gleaning and delivery opportunities. Second Chance Foods – serving Northern Westchester, Putnam, and Southern Dutchess Counties. Low on time or energy? Most programs, including CCE Orange County, accept monetary donations towards necessities like packaging and transportation and fuel. Matching coworkers on an apple glean at Hurds Family Farm, Modena, NY. Gleanings are fun and family friendly. Your work will increase the availability of nutritional fruits and veggies for food insecure people in the Hudson Valley while helping farms reduce their waste. There is always a shortage of fresh fruits and vegetables at emergency food resource provider locations, and there is always an opportunity to lend a hand. Suzanne Flaum is a Hudson Valley, NY native pursuing her MS in environmental policy at Bard College. She previously worked in New York residential energy efficiency programs in addition to working for a nonprofit activist group, advocating for environmental and climate change solutions at the local level. Suzanne hopes to bring her interests in stakeholder engagement and community-based action into her future career. I think this is a fantastic opportunity, both to help avoid food waste and to bring something new to the table for food pantries and soup kitchens. While there is access to canned fruits and veggies for those who need it, it’s completely different to have access to the fresh stuff! Do you work with farms who set aside produce to donate, or is it only based on the produce that would otherwise go to waste? Thanks for the question! Our partner farmers actually vary in their donation preferences. The Farm Hub, for instance, is a research and demonstration farm, and they also provide training for new farmers. They research and execute particular growing practices and crop varieties and plan ahead to donate particular portions of their yields. At the beginning of the growing season, we had a general idea of what we would be receiving from Farm Hub this year. Most family farms, though, call us sporadically when they happen to have leftover “seconds” from market or “ugly” produce that didn’t sell or they know won’t sell. However, we do work with a smaller farmer in Montgomery, NY who sells at NYC’s Greenmarket and deliberately brings back what doesn’t sell to donate to us. He could offload to City Harvest, the recovery agency directly serving Greenmarket, but he’s built a good relationship with our program over the years so he chooses to truck his leftovers back every single week, like clockwork. During good growing/market seasons, he has been our highest volume/most regular donor! In short, it all depends on each farmers’ preferences and needs. Such an interesting and meaningful job you have with your team. I really liked the way you describe how people should show their appreciation to the land and crops they harvest. It also has been a traditional practice back at my home in Tibet as well, people cherish the land, should not waste the food. I clearly see the bridging work that you do with different organizations and communities, but I am quite interested in knowing how you communicate with different stakeholders, and what kind of educational activities involved during the whole process of your work? Thanks, I think so, too! Efficient communication is definitely one of the biggest barriers we deal with. Lack of uniform communication methods can slow us down, but it does help us build more personal relationships with farmers, emergency food resource provider agencies, and partner agencies. Because of varying degrees of technology abilities among our stakeholders and always-shifting schedules of farmers and volunteers/employees who run our partner agencies, my team must be extremely flexible. We are regularly calling, texting, or emailing farmers and agencies throughout the day to coordinate produce pick up and drop-off times, produce preferences, etc. This means planning ahead as much as possible and being ok with backtracking routes to serve our role effectively. My team doesn’t offer formal educational programs at this time, though at gleaning events, we do talk to volunteers informally about the farms they’re gleaning, where the donations go in the region, and how our program works. These interactions create repeat volunteers and help volunteers to understand the value and necessity of their work. Cornell Cooperative Extension is overall a research and education organization, and does offer extensive resource education in a wide range of agricultural, biological, and economic topics. So great to hear about your internship, I’m so glad you got this opportunity, what a great way to make a positive impact on your local community. 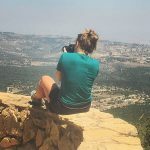 It seems like there are a lot of ways to be involved in this project and it sounds like an issue that generally flies under the radar, does the CCE run any type of awareness campaign for this issue? I hope I can come help you glean sometime! Luckily, my supervisor has built extensive partnerships with other regional food recovery agencies and networks in the area, which definitely builds exposure and builds capacity. However, as with any issue, I think there is always friction between implementing large scale, efficient awareness campaigns while also keeping the scope of the issue and solution set specialized and local.